* Opened September 17, 2010 | Runtime:1 hr. 28 min. * Lionsgate presents this animated tale of two wolves (voiced by Justin Long and Hayden Panettiere) trying to find their way home to their pack after being kidnapped. Christina Ricci, Danny Glover, Dennis Hopper, and Larry Miller also supply voices for the Crest Animation production, helmed by Anthony Bell and Ben Gluck from a script by Chris Denk. * Opened September 24, 2010 | Runtime:1 hr. 30 min. * Kathryn Lasky's children's book series comes to the screen with this animated adaptation from director Zack Snyder (Watchmen) and Village Roadshow Pictures. The plot details a mythical race of barn owls whose realm is threatened by sinister outside forces. Sam Neill, Geoffrey Rush, Hugo Weaving, and David Wenham head up the voice cast, which also includes Helen Mirren and Jim Sturgess. * Opened October 15, 2010 | Runtime:1 hr. 34 min. 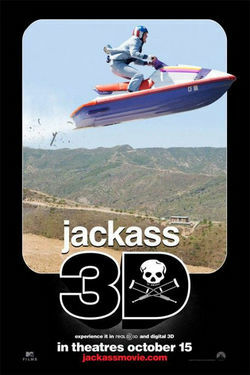 * The Jackass pranksters are at it again in this third outing, presented for the first time in 3D -- an effect that will no doubt redefine the use of the in-your-face technology. Once again Jeff Tremaine returns to direct the MTV Films/Paramount Pictures production. * Opened October 28, 2010 | Runtime:1 hr. 30 min. 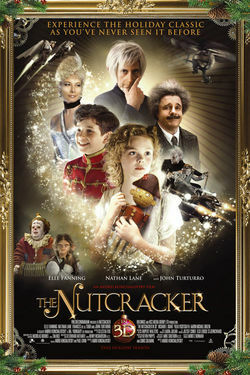 * THE NUTCRACKER IN 3D follows nine-year-old Mary (Elle Fanning) whose dull Viennese Christmas is suddenly filled with excitement and adventure following the arrival of her beloved Uncle Albert (Nathan Lane) and his gift of an enchanted nutcracker. On Christmas night, Mary's new friend, The Nutcracker (Charlie Rowe) or "NC," comes to life and takes her on a wondrous journey into his magical world of fairies, sugarplums, and other Christmas toys which come to life. Mary soon realizes that this fantastical kingdom is facing danger from the tyrannical rule of the evil Rat King (John Turturro) and his devious mother (Frances de la Tour). When NC is taken hostage, Mary and her newfound toy friends must uncover the secret of the Rat King to rescue NC and his kingdom. * Opens November 24, 2010 | Runtime:1 hr. 32 min. 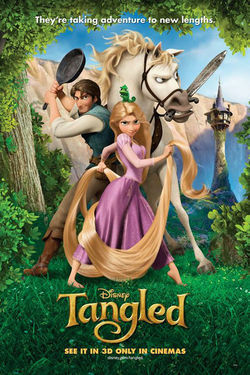 * The classic Brothers Grimm fairy tale gets a lavish CG makeover as directors Glen Keane and Dean Wellins team up to tell the tale of a fair-haired beauty (voiced by Mandy Moore) with long-flowing locks, a gallant hero with a heart of gold, and the evil witch who plots to keep these lovelorn innocents apart. 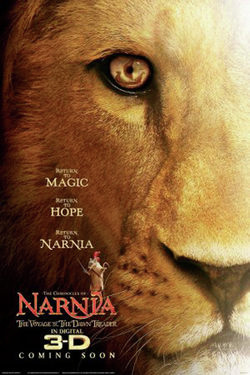 * Upon returning to Narnia to join Prince Caspian for a voyage on the majestic royal vessel known as The Dawn Treader, Lucy, Edmund, and their cousin Eustace encounter merfolk, dragons, dwarves, and a wandering band of lost warriors. * DreamWorks Animation presents this satirical take on the superhero genre focusing on a down-and-out supervillain (voiced by Will Ferrell) who has to learn how to get his groove back when he's left without an arch nemesis in this comedy from directors Cameron Hood and Kyle Arthur Jefferson. Tina Fey and Jonah Hill fill out the rest of the toplined voice cast.